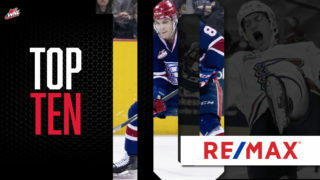 Spokane Chiefs forward Jaret Anderson-Dolan has been reassigned by the Los Angeles Kings and will return to the Western Hockey League, as announced by the Kings on Oct. 22. 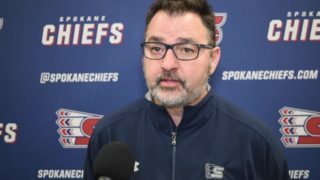 He is expected to rejoin the team this week and be in the lineup on Friday night as Spokane hosts Portland at Spokane Arena. Anderson-Dolan, selected by the Kings in the second round (41st overall) of the 2017 NHL Entry Draft, played in five NHL games this season. He picked up his first career NHL point with an assist versus Montreal on Oct. 11. 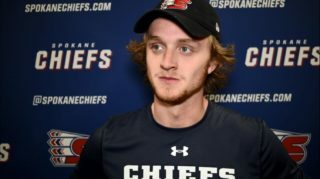 Last season, Anderson-Dolan became the 22nd Spokane Chief to score 40 goals, marking the 30th time in franchise history a player has reached the milestone. 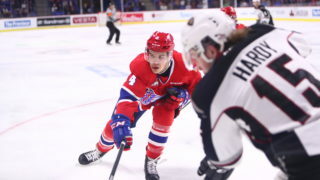 His 91-point campaign earned a spot on the WHL’s Western Conference First Team All-Stars. 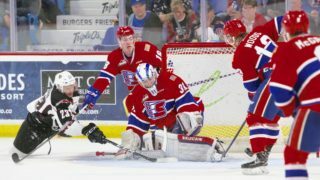 During the off-season, the Calgary native competed with Team Canada at the 2018 World Junior Summer Showcase, a precursor event for the 2019 IIHF World Junior Championship set to take place in Victoria and Vancouver, B.C. beginning Dec. 26. The Chiefs will return home to open a five-game homestand when they host Portland on Friday night for Avista “Way to Save” Night & Glow Bracelet Giveaway. The first 5,000 fans in attendance will receive a glow bracelet courtesy of Avista. 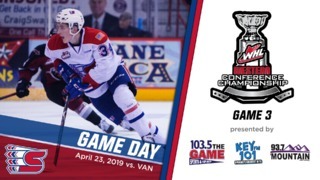 Tickets are on sale now online, over the phone at 509-535-PUCK and in-person at the Chiefs’ Ticket Office.